Do I Need A Buyer's Agent? "We asked Deenie to help us sell our parents long time home because of her intimate knowledge of the neighborhood. She prepared a very thorough market analysis which helped us set a realistic asking price for a home requiring some updating. This was done in a sensitive manner recognizing the emotional attachment to the family home while striving to get the best price on the actual sale. Deenie was on top of every showing and kept us totally up to date with all inquiries and comments. With her diligent hard work she helped us sell the property without a hitch. We would recommend Deenie to anyone looking for a realtor." "Deenie was wonderful - I had to put my Dad's condo on the market after he died and she walked me through the process and was very compassionate throughout this difficult time. She is very thorough in her research and knowledgeable of the real estate market. Also had great referrals such as lawyers and cleaning service. Highly recommended and I would definitely call Deenie again for my real estate needs." - Joanne C. Arlington Hts. "Working with Deenie on the sale of our home was a very positive experience.Deenie is knowledgeable, detail oriented and professional. She knows what needs to be done to move the process forward, and attends to those details personally, to ensure positive results. She answered our many questions promptly and in detail, which made us comfortable with the ongoing process. She was constantly in contact, always available and forwarded all feedback. She recommended great professionals, to get the house ready and listed for sale. Deenie also worked tirelessly to find us a home to rent in a very short period of time. She showed us a wide array of homes that fit our criteria, which gave us many options to choose from. It was a great experience working with Deenie, and we have no hesitation in recommending her, for all real estate services." "Anyone looking to purchase or sell a home might be wise to work with Nadine (Deenie) Pomilia, Re/Max in Lake Zurich. Deenie is overwhelmingly professional. She knows the process of buying and selling real estate; she knows what needs to be done and how to get it done. Call Deenie and you can rest assured you have the best, most caring realtor, who will do everything in her power to make your buy/sale smooth and quick." "We had a small condo in Deerfield that we inherited, certainly worth far less than any of Deenie's typical listings. You would have thought it was worth a million dollars though! That is the kind of service and attention to detail that Deenie provide to us. We sold it fast: she was spot on for the listing price and everything else. She is a professional in every sense of the word, an incredible pleasure to work with on this condo. We would give her 10 stars if we could!" "A friend of mine went through Deenie when he and his wife purchased their first home. They were saying so many nice things about her that I decided to give her a call when my husband and I were ready to buy. All I can say is WOW! Deenie goes above and beyond and we felt so comfortable with her she instantly felt like family. She was comforting when our first home we wanted fell through and we instantly went back out and found our current house. She is professional and even our mortgage contact said, "wow, where did you find her? I would love to always work with her." The special part is even after the closing she still manages to "check in" (a house warming plant, Christmas card, a reminder letter on what is needed for our taxes) that means the world to us. I continuously talk about my experience every chance I get and can't wait for her to stop by and see the changes we made at our house." "Deenie was an absolute pleasure to work with during one of the most stressful times in our lives. We met in early January with the hope to sell our home in Villa Park in the spring and purchase a new one in Mokena. What happened was very different. We decided to start the search early. In looking for our new home, and being disappointed in the lack of inventory in the area we were seeking, Deenie found us a development and piece of land we fell in love with and were able to purchase and BUILD our dream home on! Fast forward 10 months later, we successfully built our dream home, sold our old home for full asking price and live happily ever after. Our experience could not have been more smooth and stress free. Deenie, we can't thank you enough for your attentiveness, guidance and exceptional negotiation skills in navigating the real estate market and successful purchase of our dream home! We couldn't be happier!" "We are so pleased we chose Deenie as our real estate agent. She came very well-prepared when we first met to discuss listing our home for sale. Deenie is a kind-hearted, caring person & someone who is easy to talk with. When we needed to reach out to her with questions, she always was able to answer them. Because of her strong marketing knowledge, our home sold very quickly. We would definitely choose Deenie again & that is why we highly recommend her!!" "We just completed our third real estate transaction with Deenie and I cannot stress enough how valuable a realtor is that knows the area, schools, and the market conditions that exist in today's marketplace. Deenie excels in all these areas. She has helped me to buy and sell three homes over the years and I also have referred her to a friend of mine and she can attest that her experience with Deenie was phenomenal. One of the best traits that Deenie offers is that she truly listens to your wants and needs to find exactly what you are looking for. It is very refereshing that, in a harsh real estate market, you can work with such an honest and friendly realtor that only has your best interests at heart. I highly recommend Deenie to anybody trying to buy or sell a home. Thanks again Deenie for finding our dream home for our family!" "Words cannot express how overly satisfied and happy I am as a client. Deenie's personality is not only professional, precise, personable, and knowledgeable but her expertise places her above the rest. My house was listed and put under contract within 10 days and closed in 30 days from that point. She negotiated in my best interest and I never felt more at ease. Deenie has a contact list a mile long for any occasion she feels that will help the selling process more timely in your favor and for TOP dollar. Deenie's flexibility and timeliness is A+ especially for working professionals and those with tight family schedules. I can go on and on especially about Deenie's process for her clients, she is ALL CLASS. I am looking to begin the buying process and as you may have guessed it - I will be using Deenie." "Deenie helped us purchase our first home back in 2007, so when we decided to sell that house and move on, she was the first person we thought of. She is a pleasure to work with, not just for her great personality, but for her patience and understanding as well. The process of selling a home can be quite stressful, but Deenie was there every step of the way. She made sure to answer every question we had with careful consideration. She was helping us with a new home purchase at the same time, but she never made it seem like she was too busy for us, or that I was too bothersome with my many emails. Because of Deenie, we had a successful sale of our old house, and found our forever home in the process. We couldn't be happier! "Deenie is amazing. It is hard to find someone who is trustworthy, smart, compassionate, honest, and professional, especially a realtor, but; I did. A friend referred me to Deenie, and I am so very grateful. Deenie helped my ex-husband and I sell our family home. Deenie knew when to offer support, get to business, hold my hand, and how to get the job done. I highly recommend Deenie to anyone with real estate needs." "My husband and I have worked with Deenie throughout the last several years and have had a great experience thanks to her professionalism, thoroughness, and understanding of the local real estate market. As property manager for our rental properties, Deenie has been so effective at finding and keeping great tenants. She has handled all kinds of issues ranging from flooded basements to roof repair. Because we now live outside Illinois, we rely on Deenie for all aspects of property management, and she has done a terrific job. She helped us understand what to expect and at the same time, took so much work off our hands. We could not have done this on our own! Deenie also helped us sell our main home in the Chicago area in 2013. She worked with us to ensure that key household issues were addressed ahead of time, and had it on the market for just a few short weeks before we received our first offer. We sold our home within a few months, and Deenie worked with us right through closing to ensure that all the last-minute issues were addressed. We definitely felt that Deenie got us a fair price, and we especially appreciated her efforts after an initial buyer backed out of the sale. Throughout our relationship, she has been patient and professional. We continue to rely on Deenie for property management services, and we feel very lucky that we were given the opportunity to work with her." "Deenie was absolutely wonderful. To prepare for the sale of our home, Deenie evaluated our home to help us prepare it for market. She then researched our market area to determine the sale price. With her professional guidance our home sold in only five days! We were thrilled with the quick sale at the price we wanted. Thanks Deenie!" "Deenie got started right away! She means BUSINESS and will lead you to exactly where you need to be in order to prepare your house to be on the market....I spent most of my time out of state and she provided me with the right businesses to contact, who deep cleaned, exterminated, and carpet cleaned very professionally. The photographer Deenie used was tremendous. The house went on the market in the Fall, which made me think it would be months (probably at least into Spring) before we would have a sale. But Deenie worked it, and lo and behold, we sold within 60 days! Make the call to Deenie if you want to sell your house." "Deenie was amazing! As first time homebuyers with little real estate knowledge Deenie walked us through every step of our journey with ease, care, and honesty. In a quick moving market she provided objective guidance about what to expect, property values, resale considerations, and patience when a home that we were interested in, was swept off the market quickly. Now that we've found our home we couldn't be happier - it has everything we wanted and is perfect to grow our family. Deenie has superb referrals for home inspectors and other things you need done as you move into a new home, and through the process she has become a trusted friend. We have already recommended Deenie to other people and they've had the same experience with her!" "It was not a good market to sell our house in, but we needed to relocate out-of-state. Deenie spent half a day with us at our home going over our wants/needs before other realtors had even called us back. Compared to past home sales we’d been through, no realtor was as in depth with us when we had questions or concerns, whether it was market related or an issue with our own home. –In this bad seller’s market we were under contract within six weeks, and got more than we expected." "I just wanted to say thank you and to let you know how much I appreciate all that you did to manage the property and the sale. I know it's not easy to handle a high anxiety client, and your calm, professional demeanor was very reassuring to me. If you ever have a need for a professional reference, feel free to use me as one. Thanks again for all your work and best of luck to you in your future endeavors." 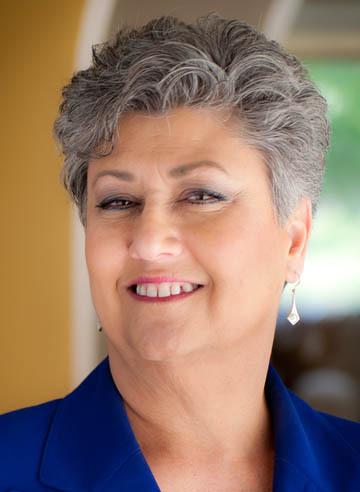 "I have had the pleasure of working with Deenie Pomilia as my agent to sell my home as well as find me a home. The experience was one of not only professionalism but of a person who has patience, care, and a sense of what makes each client tick. Although my entire transaction took well over a year and a half due to dealing with new construction, Deenie made me feel like every day was a new and exciting experience. I went from someone who hung a "for sale" sign in front of my house to a life long friend. In the cut throat world of Real Estate...that's rare!" "Thank you very much for all of your help, expertise and hard work in selling our house. Your staging advice was invaluable, and your continued work to promote our house was critical in getting it sold, especially in this difficult market. We would definitely recommend you to anyone who needs to sell their house, and we would be happy to have you as our realtor in the future. Thank you once again! Best Regards,"
"Thank you so much for all you did to sell our home… with the awful market and the media sensationalizing it, there was no way that we could have sold our home without your phenomenal expertise! I’ve told everyone, that if they need a great realtor, who knows the market, and how to overcome particular issues, they need to contact you. As you know we tried selling our home on our own, had a different realtor at one point, and nothing happened until we listed with you. Words cannot express our appreciation for all your efforts and hard work that finally resulted in the sale of our home under such difficult market conditions. Please know that I will recommend you to everyone I know and to anyone who is looking for the best Realtor… YOU!" "I owe Deenie more than thanks - who else could negotiate the sale of a home in a depressed market for a couple going through a divorce? Deenie!! You were fair, remained neutral and got the house ready for sale when I didn't think anyone could. Your guidance and professionalism took us through each step so easily. You were there when we had questions and when problems came up, you had answers. Getting that house sold was nothing short of a miracle - the miracle of Deenie! Now, as an HOA Board Member, its great to have your involvement in our sub-division. From sponsoring our community garage sale to standing at the ready when a resident needs to sell or a buyer comes looking. It's great to see your sign with another "sold" on it. Great job Deenie - I see all the good you do and hear all the rave reviews about you and I can say, first hand - you are are fantastic! Many thanks." "Deenie Pomilia sold our house during one of the most difficult times in recent history. She was honest in her opinions regarding pricing, as well as the simple changes that enhanced our ability to sell fast in a buyers’ market, when other houses lingered. She went above and beyond to make sure that we had qualified buyers who were able to complete the transaction. Deenie’s attention to detail is what sets her apart from other Realtors with which we have worked in the past. As a specialist in our neighborhood, she knew specifics about our house that even we did not know. She marketed our home in a way that maximized our chances to sell with the least disruption to our lives. We could not have been more pleased with her service. I highly recommend Deenie Pomilia as a Realtor. She is extraordinarily effective at closing a sale, even when market conditions are difficult. Her level of service should be the norm, not the exception. She found a couple who would love our home as much as we had. Thank you, Deenie." "As a member of the Armed Force I received orders to relocate. Without hesitation my wife called Deenie Pomilia. We first met Deenie through our banker when we got assigned to a position in the Chicagoland area. Having been in the military over 30 years I have dealt with a number of real estate agents and Ms. Pomilia is head and shoulders above any of them. As I said we met Deenie 5 years ago through our banker and it was an experience that my wife and I would never forget. Deenie doesn’t sell you a house she finds you your home. She doesn’t pressure you to buy a piece of real estate; she shows you a property that you might like. At our first meeting Deenie asked my wife and I all kinds of questions, basically to get to know us and the type of home we were looking for. Everything she seemed to do was about us and not about her. After a few days Deenie called my wife and said she had a few prospective properties that we might be interested in, a few properties…the two of them looked at properties from 10:00 AM until 7:00 PM. All the time Deenie kept assuring my wife not to worry… “you’ll know the right house when you see it”. Ultimately she was right. They came across a nice 3 bedroom ranch in Island Lake and my wife said when she walked in the house it felt just right. Deenie was right. Once we decided to make an offer Deenie once again went the extra mile and coordinated everything from the inspection, an attorney, insurance agent, even the closing site. The woman did everything but help us unpack and I’m guessing had we asked, she would have helped with that too. For the past 5 years we have remained friends with Deenie, so it was a no brainer when I received orders to move once again. We called Deenie to coordinate the sale of our home. With the market being so depressed, it wasn’t an easy time to sell, but Deenie, once again came through like a champion. She stuck with us through the process, used both computer advertising along with newspapers to get the house noticed. Once again when it came time to close she was there. Since we had already relocated to our new assignment, Deenie coordinated everything, lawyer, power of attorney, closing date, etc. Without her tenacity, boundless energy, and genuine caring for her clients I fear that our house would still be on the market. Deenie Pomilia is the real deal. She is committed to her clients and does not rest until the client is satisfied. My only regret is that my wife and I are at our terminal assignment and are out of Deenie’s “professional range” but not our personal range. Nadine “Deenie” Pomilia is the best and will always do what is best for you and not her." "Thanks so much for all of your help selling Deby’s condo. Remotely trying to coordinate all the details with the sale would have been impossible without your help/ assistance/ guidance.You have been a joy to work with. Thanks again,"
"My family had many challenges when we had to sell my mother’s house. She had lived in her home for close to 40 years. Her health declined and she no longer could climb the stairs of her 2 story home in Buffalo Grove. The economy was in a downturn and the housing market was hit especially hard. Deenie Pomilia was our Re/Max agent. She worked tirelessly, offering many tips and giving us recommendations of services to use in the area for home improvements and cleaning. We sold the home in 6 weeks mostly because Deenie understood 'her' market . At a very difficult time for our family, Deenie provided leadership and direction to help us make decisions that were in our very best interest." "If we were to buy or sell a house again we would use Deenie without question. We have used numerous real estate agents in the past and she is the first one that provides full service. Deenie has every contact you could possibly need when buying or selling a house. We thought we knew better and used a lawyer recommended to us, (not by Deenie), and boy did we learn the hard way. But who was there for us to save us from our mistake….Deenie. She is the BEST and would recommend her in a heartbeat." "Recently I asked you to list my Father's house for sale. I am happy to say that even in this "terrible" market you were able to have many showings and in a short time help to find a qualified buyer. I was happy that when we had to make a small repair, you had "the guy to do it". When we needed to clean out the junk from the crawl space, you had "the guy to do it". When we needed an estimate on replacing something, you had "the guy to do it". Not only did you have the guy to do it, you made phone calls for us as well. I was very happy with your service and dedication to me during the whole transaction. If anyone is buying or selling a home I will tell them "I have the gal to do it!" Thank you,"
"Fabulous, friendly, professional, and persistent would be the words that I would use to describe Deenie Pomilia. Deenie has an articulate, assertive, yet friendly way of dealing with "opposing" agents in the final stages of negotiations. Deenie has helped several friends and family members buy and sell their homes as well. She goes above and beyond in all she does. I recommend Deenie to all I know." "Working with you throughout the "house hunting" process has been a tremendous amount of fun! Thank you so very much for the thoughtful consideration, as well as your excellent knack for choosing spectacular properties to view! We found an awesome home! Thanks also for the wonderful leads which sold our home in record time! Your pleasant personality, good name throughout the community, experience, and salesmanship enabled us to not only find a prospective buyer, but to negotiate a very lucrative sale! It's very easy to understand why you excel in your chosen profession! Thanks a million! Very Fondly,"
"Thank you so much for the all your help in selling our house in Chicago in July 2009. The housing market was slow & we knew it might take some time before it sold. We listed the house on Friday & had an offer on Sunday. With your help, we agreed on a price & closed the deal. You were always available to answer our questions & guide us through the transaction. We found you very knowledgeable & kept in close contact with our attorney every step of the way. The closing went smoothly & you hand delivered our check. I would highly recommend you to anyone in search of a real estate agent." "You've heard the famous saying that real estate is all about 'location, location, location.' What Deenie is famous for is honesty, honesty, honesty." "Let me tell you a little story about how we sold our home in the winter of 2009/2010. We had a unique situation. We have a handicapped daughter and had to buy our new house before we even put our old house in Buffalo Grove up for sale. Sounds pretty risky given the housing market at the time. But we could not have the sutation where we sold our house and did not have a new one to move into. What would we do with a handicapped child if that happened? We had to have a place to move into first. We did not want to rush the decision for the new house, we did not know how long it would take to find a new house, or how long to sell the old house. So we found the right house to buy, then put our old house on the market. This is where Deenie comes in. Deenie has lived in our old neighborhood for a long as we can remember. We were there for 26 years before we moved. So we have known Deenie for some time and have always seen her RE/MAX signs around the area. We had indicated to her our situation. When we signed the contract for the new house, that is when Deenie began to go to work to sell our old house. She sat down with us and all of the market analysis, and told us up front exactly what we should be asking for it, and what we will probably get for it given the market conditions at the time. She told us what we needed to do to our old house to get it ready to sell. And while we did not want to do all of these things, we did everything she asked because she knows how to stage a house. Worried about the possibility of having 2 houses for quite a while if it did not sell?? You bet. But between the suggested changes to the house and the numbers she first came up with, Deenie was able to sell our house in 7 weeks...in this market. This is our story about Deenie selling our home in the snowy winter of 2009/2010. If you need a great real estate agent to sell or buy your home, Deenie is the lady." "Deenie did a great job with my real estate purchase –there were some complications but between her and the lawyer she recommended, it went smoothly. She was very responsive and returned calls promptly and I would definitely recommend Deenie for any real estate transactions!" "We can't let another day go by without thanking you sincerely for your prompt and attentive service in acting as our real estate agent. Service like yours is rare in business these days, and we do not want our appreciation to go unstated. Thank you so much for going to such great lengths to make sure we understood the home selling process, priced our home competitively and actually sold our home well ahead of our deadline in a very difficult real estate market. Thank you again for your considerate service. We will be certain to recommend you to our friends and business associates who are looking to buy or sell. Sincerely,"
"Deenie was not only extremely knowledgable, but she was kind, accomodating, and after a quick survey of our property knew exactly what needed to be done for our place to sell quickly and still for a great price. It is unfathomable to think that although we bought our house during the peak value in the summer of 2006, we received an offer within 5 days of listing our property for more than we paid for it! We can't thank you enough for the wonderful and efficient job you did selling our home! The experience could not have gone smoother, thanks so much!!" "It has been a pleasure to have Deenie as our realtor. She has always shown great concern for our needs and desires. She understands the business and the market. She gave our house maximum market exposure, utilizing multiple media and face-to-face opportunities. She recommended reasonable changes, both in regard to price and home renovation. She skillfully negotiated on our behalf, maintaining integrity while getting us the best price possible. She kept us apprised of any questions or developments that arose regarding our purchase and sale. We have been privileged to work with Deenie and would gladly recommend her to anyone we know." "Thank you for all your work and guidance to help get our home sold so quickly. Your honest, straight forward advice and caring patience are very appreciated. We send extra thanks to you for watching over and managing our house while we were out of state. It was a pleasure to work with you! Many Thanks."